When meeting with a new client who is trying to lose weight, the first things I change is their breakfast. One of the most effective ways to help my clients lose weight and improve their health is to stabilize their blood sugar. Many people eat cereals or bread based products for breakfast, but starting the day with a high carbohydrate-heavy breakfast causes your blood sugar to spike — and then, shortly after, fall dramatically. During this dip, people often feel fatigued and crave more carbohydrates for another energy boost. This peak-and-drop cycle repeats throughout the day. Starting your day off with a breakfast that will not cause blood sugar spikes is a simple step towards controlling hunger and encouraging weight loss. I almost always recommend switching to egg-based breakfasts for most of my clients. Not only are eggs affordable, accessible and easy to prepare, but they pack a protein punch, keeping you fuller for longer, without any added carbs or sugar. 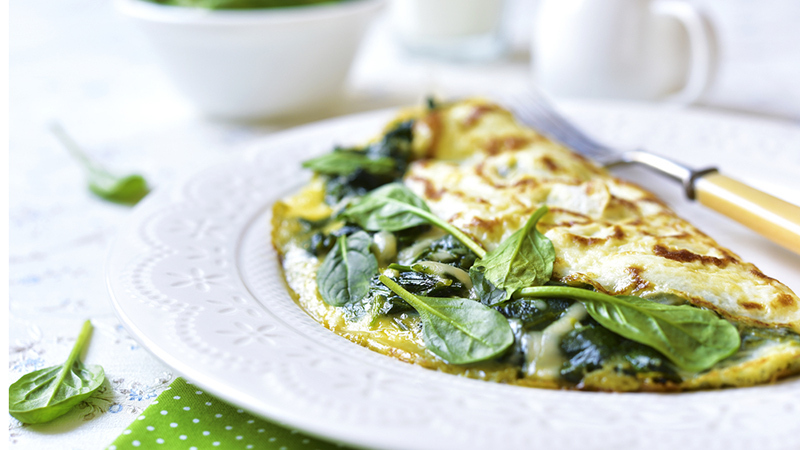 Here are some great and simple egg-based recipes to help you start your day with a protein based, nutrient dense, fibre-rich based breakfast. These are just a few examples, but feel free to utilize any leftover vegetables you have for your own. Sauté spinach in extra virgin olive oil until it is nicely wilted. Pour egg mixture into the pan and cook together. Top with swiss cheese. Salt and pepper to taste. 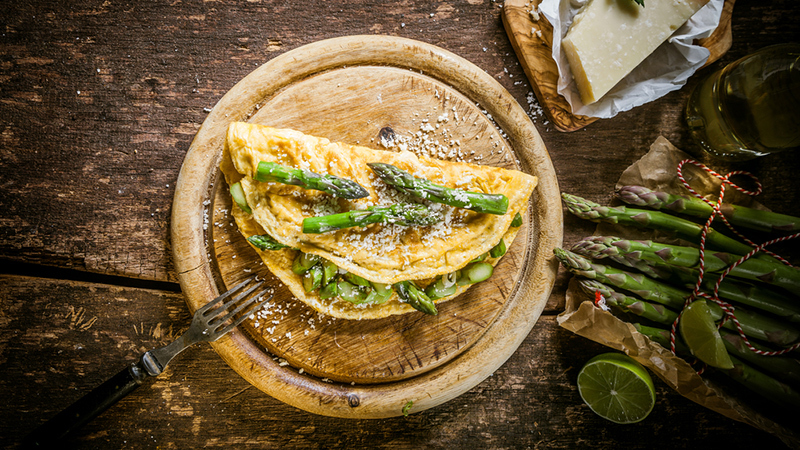 Sauté asparagus in olive oil, add scallion and egg mixture to the pan and cook together. Salt and pepper to taste. Optional: A sprinkle of parmesan. Add eggs and scallion to pan and cook. Top with diced avocado. Optional: fresh feta, sprinkled avocado and some baby tomatoes for a delicious breakfast palette. This recipe is great warm dish that can be made in advance and reheated in individual portions in the morning. Preheat oven to 350 degrees. Microwave broccoli for four minutes and drain excess water. Scramble eggs together with the cottage cheese. 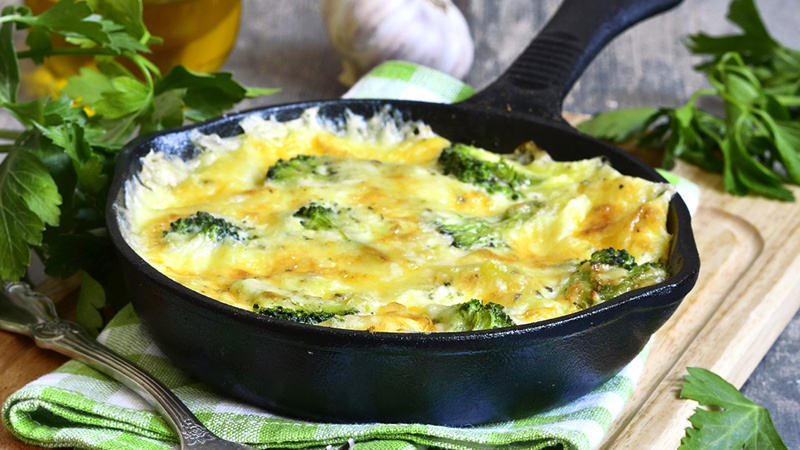 Spread broccoli evenly in a 9×13 greased baking pan. Pour egg mixture over and bake until set and edges are golden. Approximately 30 to 40 minutes. Let it set for 10 minutes then. Cut into eight even pieces. 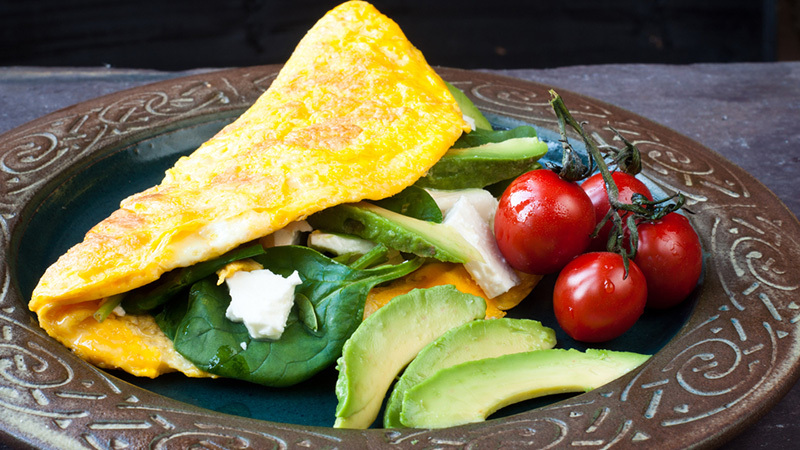 Starting your day with a protein-based egg breakfast is a simple and tasty way to set your metabolism up to burn more fat during the day. Enjoy!